The Pallada-class consisted of three cruisers built expressly with the intention of strengthening the Russian fleet in the Far East. Pallada and Diana were both laid down in December 1895 but Pallada was launched first in August 1899, followed by Diana in October 1899. The Aurora, which survives in St Petersburg as a museum ship, was laid down in June 1897 and was not launched until May 1900. Soon after commissioning, both the Pallada and the Diana were assigned to the Russian First Pacific Squadron at Port Arthur, Manchuria. In the initial Japanese attacks on Port Arthur on the night of 8 February 1904, the Pallada was torpedoed on the port side amidships, but despite a fire in her coal bunker, she was not seriously damaged. 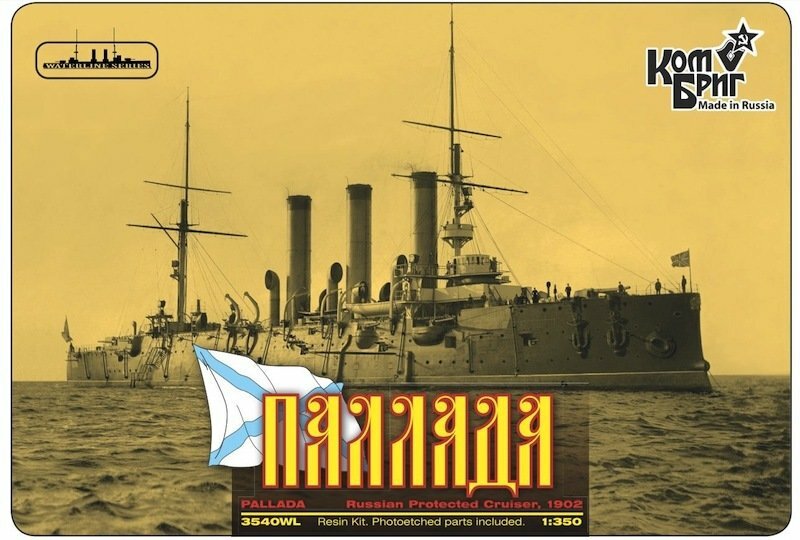 In August 1904 at the Battle of the Yellow Sea, after being struck by a torpedo, the Pallada managed to make her way back to Port Arthur, and was thus unable to break through the Japanese blockade along with a number of other Russian cruisers. Thereafter, Pallada was trapped in the harbor. Her guns were removed to help strengthen the land defenses and most of her crew was reassigned to serve as infantry. The Pallada was sunk by Japanese 11-inch siege howitzers on 8 December 1904. After the end of the war, the wreck of the Pallada was raised and towed to Japan, where it was repaired and commissioned into the Imperial Japanese Navy as a prize of war. Renamed the Tsugaru, it served as a training vessel and later as a minelayer until decommissioned in 1922 and sunk as a target in 1924.